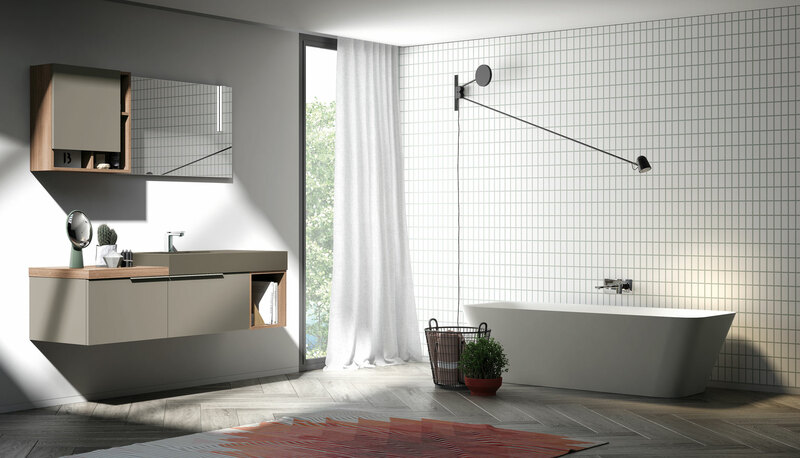 This arrangement stands out for its dignified vivacity, with a lively interplay of different heights in the vanity’s top and the wall unit’s open shelving taking the edge off the subdued elegance of the finishes in shades of grey. 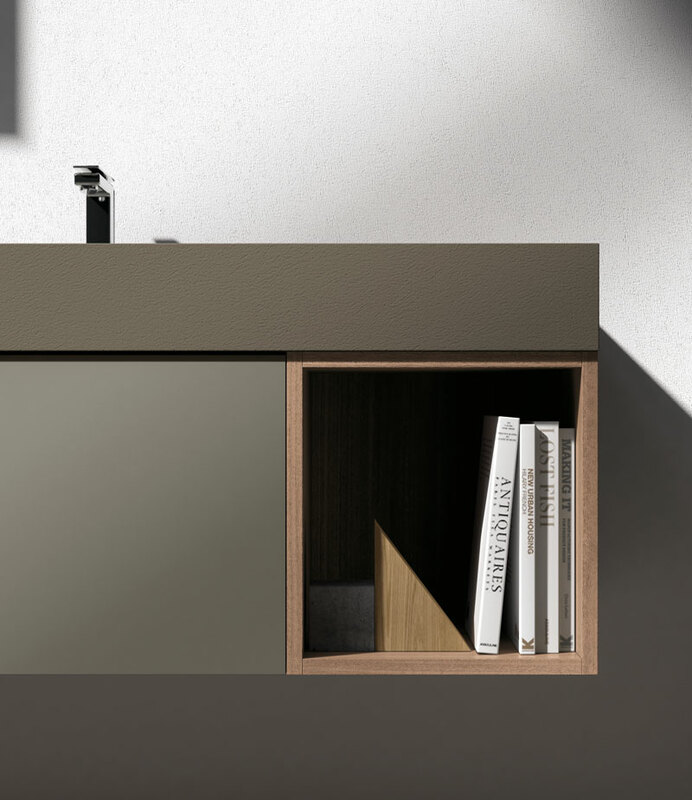 The open shelving, on the end of the two- drawer base unit, mirrors the wall unit on the other side of the composition. 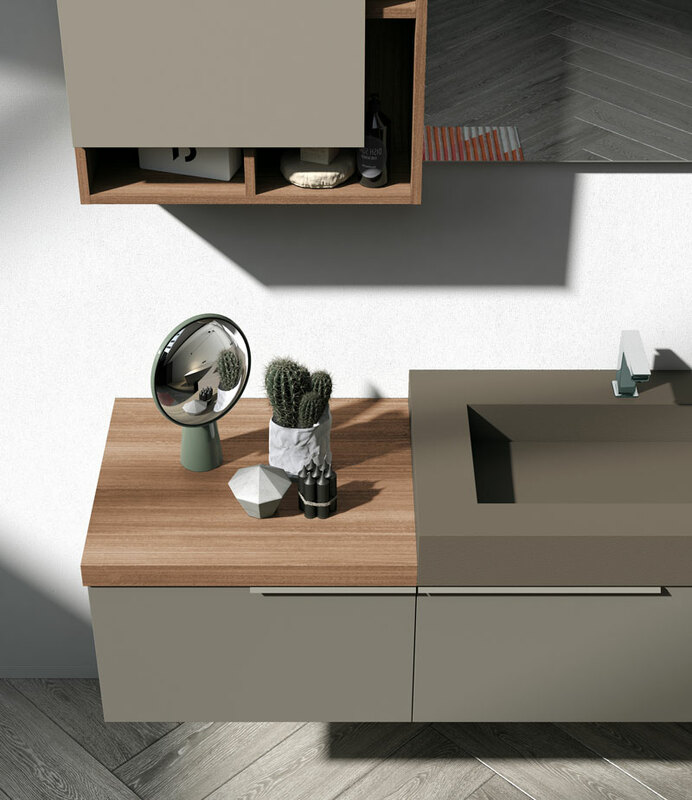 The theme of contrasts introduced by the different heights is continued by the colours, with a 12 cm-high countertop made from Tortora HPL set alongside a 5 cm-thick wood- look Sablé Ascari laminate top.